Cla rke Systems President Charlie Kelly is delighted to introduce the newest member of our sales team: his daughter, Maggie Kelly. 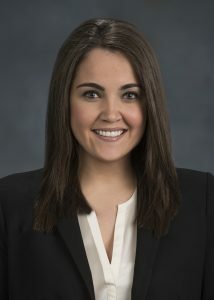 Maggie is a 2014 graduate of West Chester University with a Bachelor of Science in Accounting and Business Management. Prior to joining us, Maggie was in regional sales for a division of Cushman Wakefield, a global leader in commercial real estate services. With the full support of the Clarke Systems team behind her, Maggie is positioned to successfully partner with you and your clients for all of your signage needs. Maggie’s primary goal is to develop effective, professional relationships with our sign industry customers. Backing up Maggie is a department of seasoned signage professionals who will help you select the products you need, determine the quantity that will fulfill your request, answer any questions you have, and provide pricing in a schedule-sensitive turnaround time. At Clarke Systems, we pride ourselves on the quality of our service. We have a knowledgeable staff capable of handling most, if not all, aspects of signage programs. We are respected for our quality workmanship, outstanding customer service, timely fulfillment of orders/projects, and attention to detail.